Spacious 3 Bedroom + bonus floorplan with the master on the main level and a bedroom, bath and big bonus/loft upstairs. There is also a 2ndary bedroom and full bath down (3 full baths total!) Walk-in closets in 2 bedrooms and the bonus/loft. Kitchen with eat-in island and breakfast area is open to the great room featuring a vaulted ceiling and fireplace. Wood floors in the kitchen & breakfast areas and front and back hallways. Blinds thruout & ceiling fans too.Tray ceilings in the master and Formal dining rooms. Located on a cul de sac, the home is private in back, making the screened porch especially nice. Reavencrest has a pool and 4 tennis courts, a recreation building and a playground...most other patio homes in the area don't have these amenities... and the HOA dues are comparable! 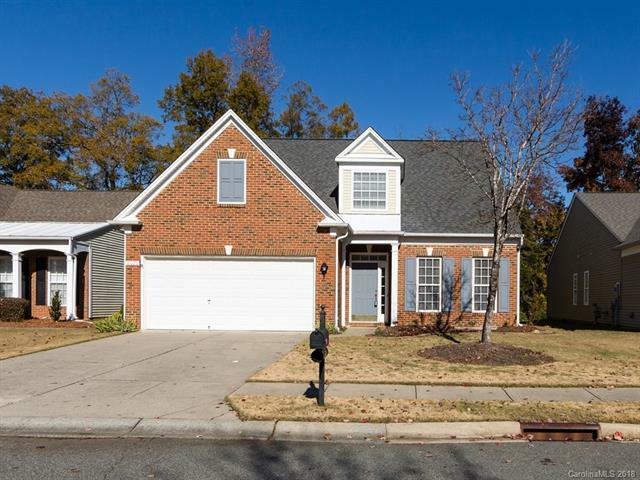 Very popular location between Ballantyne and Blakeney with many dining and shopping choices and top ranked schools. HVAC new in 2010, roof in 2011. Great home-ready for new owner to make it their own!